We made an autoturret that tracks moving objects. We played TF2 and airsoft and this is the union of these two ideas. What happened was we talked about the idea for fun and then realized we have the resources to do this. 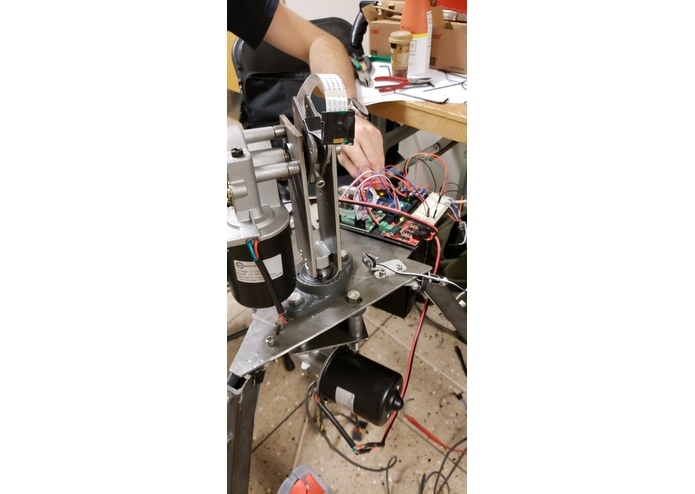 We eventually realized we could make a turret for our airsoft games and then it turned into a Volhacks project. It's a 2-axis aiming platform that uses image processing to identify and aim at targets. Unarmed platform for Volhacks. 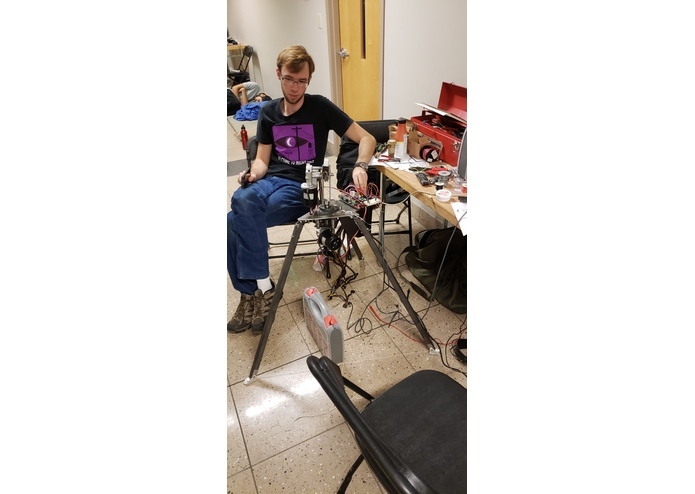 We machined the steel and then at Volhacks we put it together, wrote the image processing software, and assembled the electronics. Legs were machined at wrong angle resulting in a splayed design. Initial Pi had a fried SD card. Initial PiCamera was fried by Kevin (me). Needed electronics platform. Had nothing but sheet metal, tin snips and an old PC. Arduino Mega interrrupts refuse to work. Encoders subsequently do not work. Accidentally told it to wait negative seconds resulting in platform nearly self-destructing multiple times. We made an autoturret from the ground up. Arduinos aren't consistent all the time. Some things in image processing are trivial. Some things require higher degrees. The line between the two is very fine. Making the Arduino work so we have encoders and more finely control the movement (also with PWM). Fix the legs so it stands up properly. Enhanced image processing so it can move and track at the same time. Add airsoft gun for full functionality. Add fire control group.